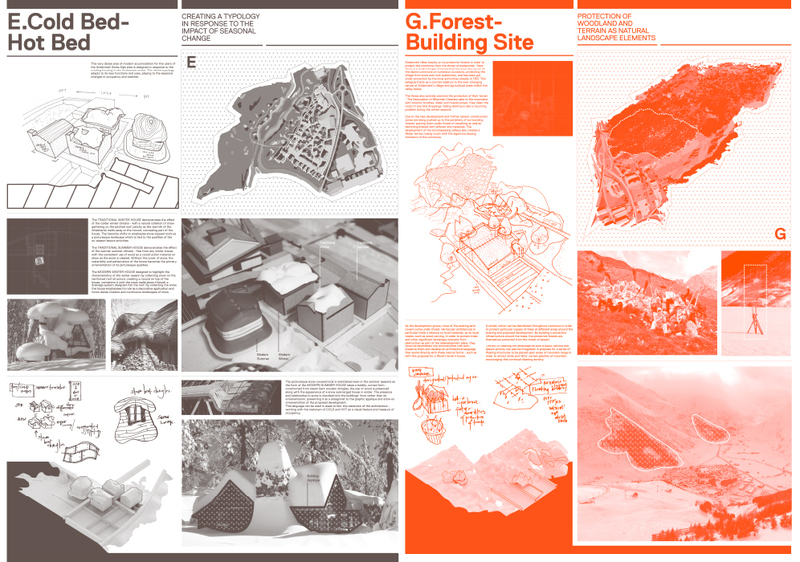 Planning media, being the interfaces or artefacts by which planning regulations are disseminated, are reinterpreted through variations in scale and resolution and provide potential gaps for architects to challenge or exploit. 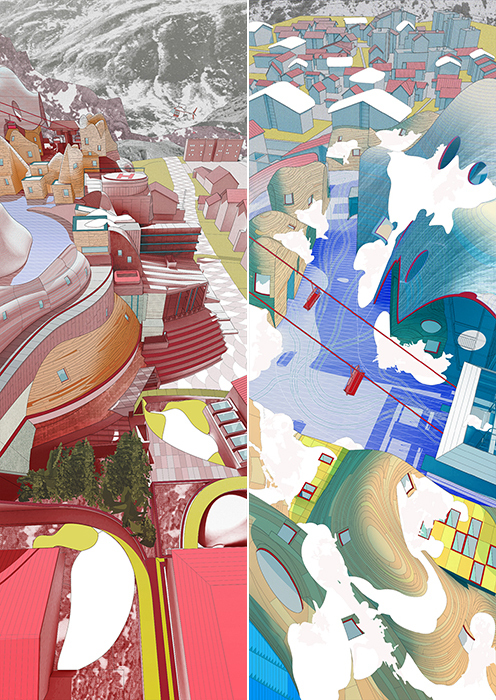 Using Andermatt's Zoning Plan and Building Code, the proposal seeks to re-emphasise the country's unique relationship to its physical landscape through a reshaping of the Alpine vernacular. Where it may look different from existing structures in the area, it is an example of a new typology offered through coercion. The scheme also examines the Swiss tendency to inhabit the more indeterminate types of terrain, communicating an inversion of the valley within the flatness of the commune.